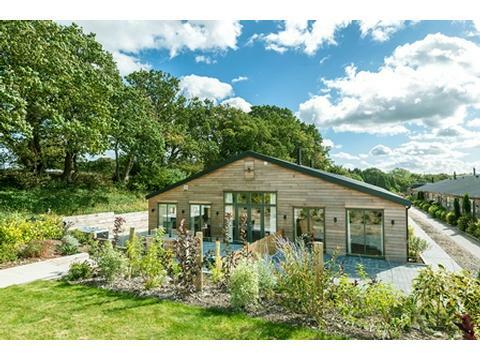 Award winning luxury cottages in a tranquil location with stunning views across the Meon Valley in Hampshire. The cottages have individual hot tubs. Heated indoor swimming pool. Families, accessible guests, large groups and pets welcome. Our cottages are the perfect getaway for families, large and small and where dogs are very welcome. Our cottages are ideally placed in the south of England located near the coast and major cities for larger groups who want to get together. 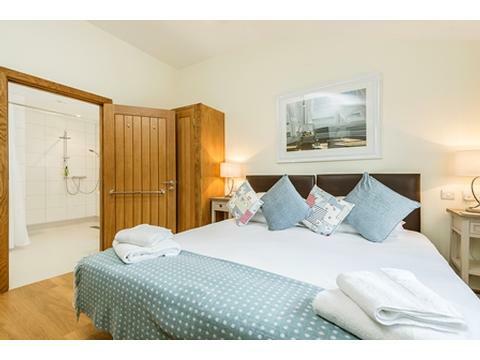 Whether as friends or families that need that extra room to accommodate all family members, our cottages can be booked individually as well as several together to accommodate everyone. 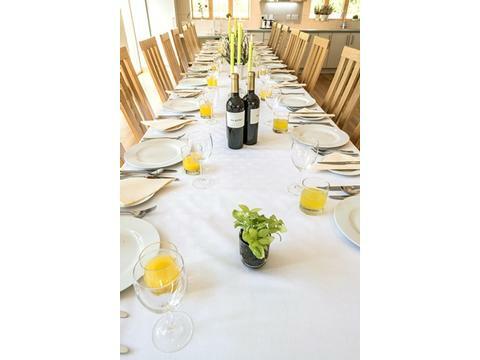 Silver Birch Cottage is particularly well suited for larger groups as it can sit 30 people for lunch or dinner! We have 8 different cottages to choose from and all have access to our brand new indoor pool and jacuzzi with accessible hoist. All the cottages have a hot tub and enclosed garden or courtyard. The kitchen is well equipped and includes an oven, hob, microwave, dishwasher, washer dryer and a fridge/freezer. If you would prefer, locally prepared and homemade meals are available to book for breakfasts and dinners allowing you to sit back and relax. For special celebrations or a family dinner a local chef can prepare and serve a gourmet meal for you in your own cottage. We welcome pets in all of our cottages at a supplement of £25/per dog; we also require that your pet has a flea and worm treatment 48 hours prior to your stay here. We cater for families and we have an extensive range of equipment for children such as a cots, highchairs, baby bath, books, toys and games. Accessible guests are well catered for, with M2A and M3A rating accommodation in a 2 bedroom cottage as well as 3 bedroom and 4 bedroom cottages. We have two hoists for our new heated indoor pool and jacuzzi as well as an accessible changing room and toilet. All our cottages are ground floor access with accessible parking and paths that are paved. 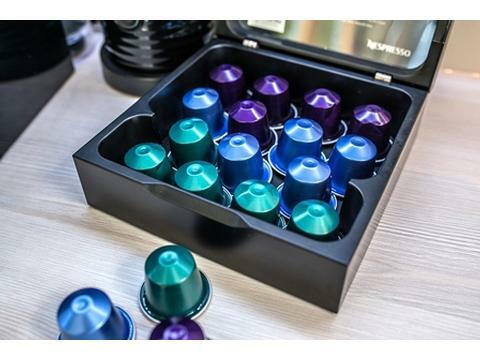 When you arrive you can expect a welcome hamper filled with tea, Nespresso coffee, milk, bread and butter as well as a homemade cake! Upgraded packages are available for all guests. There are some great walks around our area and we provide laminated sheets for ease of us as well as being available to download on our website. From 30 minutes to several hours, there is something for everyone and numerous pubs are on the way, always an important half way stop! Please check our availability for dates and pricing which differ at different times of the year as well as per cottage. Silver Birch Cottage - 4 ensuite bedrooms, sleeping 8. 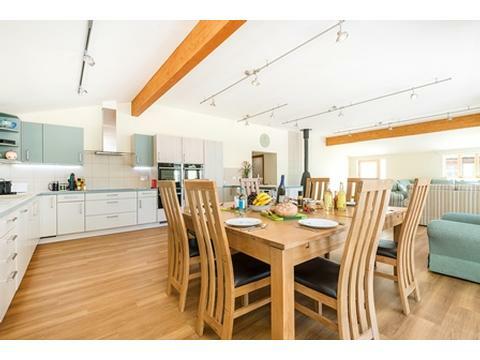 A very large kitchen, dining and living area for very large groups wanting to get together and sit for dinner, we can sit up to 30 people. Accessible to M3A standard. Hot tub with some limited views. 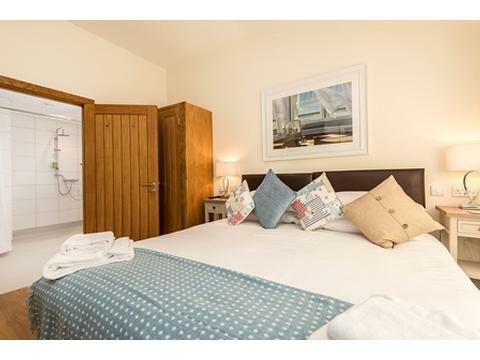 Teal Cottage - 3 ensuite bedrooms, sleeping 6. Spacious providing good disabled access to M3A standard, southerly and easterly views from 2 bedrooms. Hot tub. Sundew Cottage - 3 ensuite bedrooms, sleeping 6. Cosy cottage boasting a wonderful layout and panoramic views. Hot tub. Hedgehunter Cottage - 4 ensuite bedrooms, sleeping 8. Spacious cottage with views of the Meon Valley from 2 bedrooms. Hot tub. Glenside Cottage - 3 ensuite bedrooms, sleeping 6. 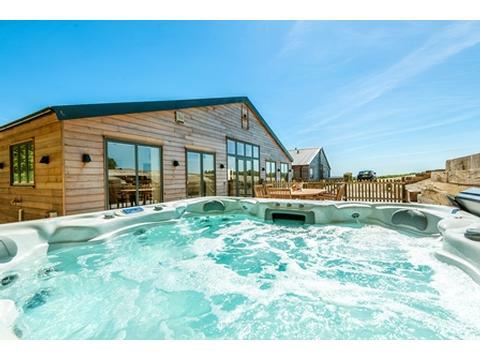 Peaceful cottage with panoramic views and hot tub. Early Mist - 4 ensuite bedrooms, sleeping 8. Offering a quiet retreat with southerly and westerly views from 3 bedrooms and hot tub. Skeldale Cottage - 4 bedrooms, sleeping 8. 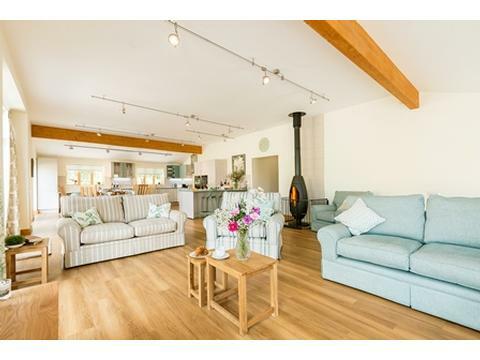 A self contained restored farm cottage with its own large enclosed garden, private parking and hot tub. 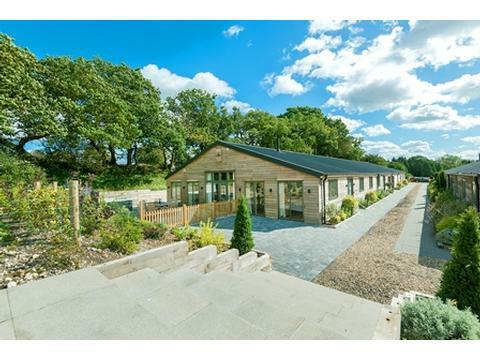 Located 5 mins drive from the village of Droxford in the Meon Valley, Hampshire. With stunning views over the South Downs National Park, superb walks, sights of interest, food & wine producers to visit. Close to Winchester, Portsmouth, Petersfield. Contact Francoise Murat for Enquiries and Availability.